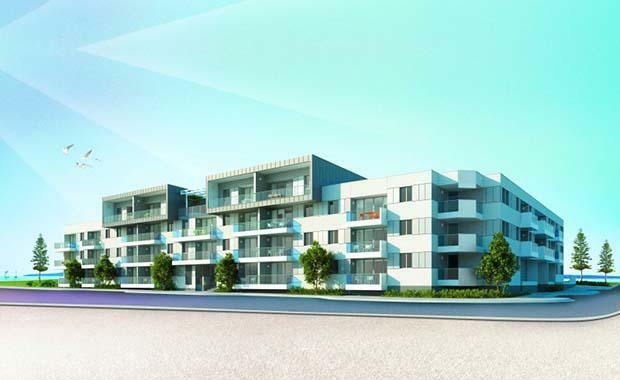 Match’s European-inspired concept development located on a ‘hub site’ within South Beach Estate, Fremantle Western Australia. Tempo is a 67-apartment project, designed by award-winning Architect Geoffrey Warn of Donaldson & Warn Architects. It overlooks one of the area’s landscaped parklands and is located just metres from the beach. Tempo apartments comprise of a mix of one bedroom and two bedroom apartments priced from $445,000 and $645,000 respectively. Match Managing Director, Mr Lloyd Clark, said the site was worthy of something unique and the market has clearly responded to the innovative design direction Match has taken. “Geoffrey Warn’s strength lies in an ability to maximise space, light and outlook. What he has created in Tempo is an amazing space that people will simply not find elsewhere,” he said. Tempo is the second project collaboration between Match and Geoffrey Warn, and follows the highly acclaimed environmental masterpiece, Summer. It is also Match’s final project in the South Beach Estate, having completed three successful projects in the area over the last five years.